Google Adsense allows publishers of websites to serve automatic text, image, video and rich media advertisements that are targeted to site content and audience. In Google Adsense Complete Urdu Tutorial, You will Learn how to generate revenue from your website by displaying ads with Google Adsense. Google Adsense Complete Urdu Tutorial will give you a general introduction to Google Adsense, and will cover topics such as Google Adsense policies, custom channels, search box placement, rich image ads, placement targeting, blocking and allowing ads, reviewing your ads and performance reports, and finally how to use Google Adsense to help you earn a living, allowing you perhaps the freedom to work for yourself, from home, or abroad. In this selected group of countries, publishers are allowed to monetize pages with online gambling, information about online gambling content and pages that link to gambling content. Gambling content includes: online casino games, sports betting, bingo, lotteries, tips, odds, handicapping, mahjong, educational/supplemental materials and bonus codes. A Google Account: If you are using Gmail or any other Google service, you already have one. If not, you can create a Google Account when you create your AdSense account. 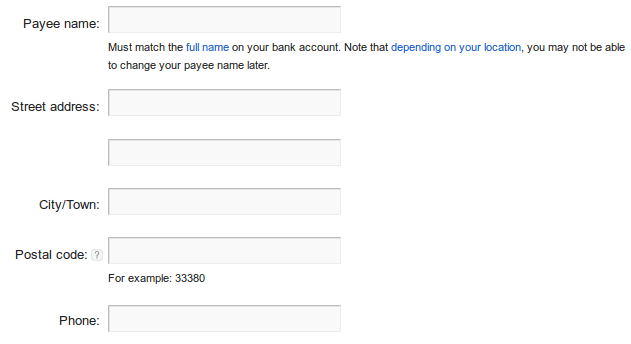 Choose a Google Account to use to sign up for AdSense. Enter the URL of the site that you want to show ads on. 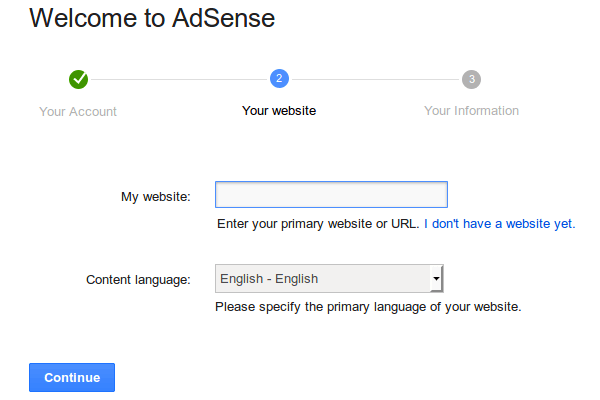 Choose whether you would like AdSense to send you customized help and performance suggestions. 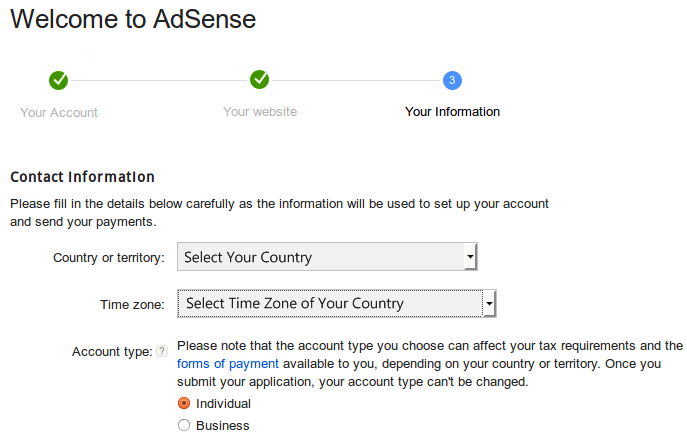 We recommend that you choose Yes so we can help you get more out of AdSense. Google will send these emails to your Google Account's primary email address, but you can change your contact settings later. Select your country or territory. 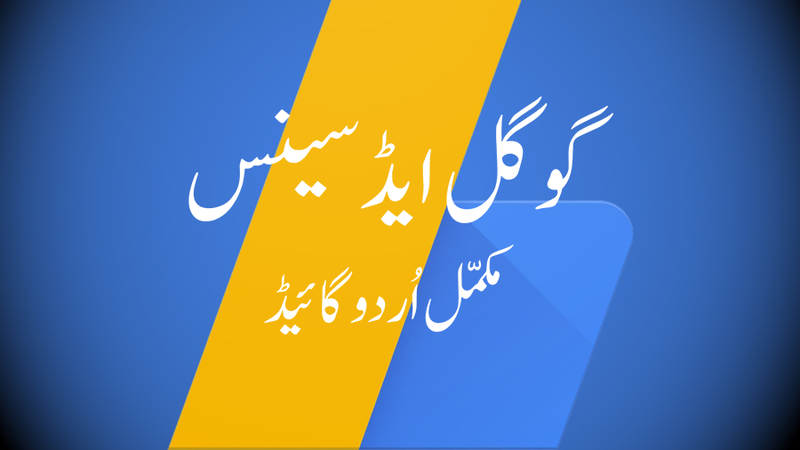 Google Adsense Complete Urdu Tutorial[/caption] You need to make sure that you fill-in all the fields correctly, because it will help with the approval of your website. 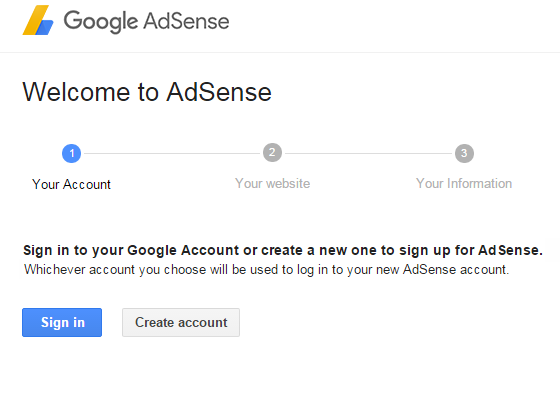 You are now signed in to your new AdSense account. After you have successfully completed these tasks, Google will review your website to make sure it meets its policies and finalize the setup of your account. This usually takes less than a day but sometimes it can take longer. Google will let you know when your account is fully activated. Then you can start earning money by placing ads on your site. We now need to create a new ad unit and place the ad code on our website. Just click on "My Ads" on the top menu, and select "+New ad unit". The ad sizes we create, and their positioning on our website can make an enormous difference for our revenue. For the time being, though, it is more important to have our website approved, than to do a full ad optimization. For the example, we will create a 336x280 Large Rectangle, which is one of the highest performing ad units in Google AdSense. We give a name of our choice to this ad unit, and leave the default 'Text & display ads" ad type. You should select Responsive Ad Size for better optimization. Creating a custom channel is optional. It is used to group ad units however we like, e.g. by size, by location, etc., so we can better monitor our website's ad performance. We can also use custom channels to check which ad placements give us the best results on our website. Since we are right now creating our first ad unit, when we create a custom channel there are no units to add, but after the creation, the current ad unit will be added to the channel automatically. We can also enable "Targeting" for the custom channel. This way, it will be shown to advertisers as a targetable ad placement. Finally, we can select what will happen if there isn't an ad for the particular ad unit. We can select blank space or a solid color, or select to show other ads from another URL. This will show the ad's code, which we must copy and add to our website. For the Code type, "Asynchronous" is the best option, because the ad will wait for the rest of the website to load before it loads itself. This is essential for our website's loading speed, and a fast loading website is an excellent website for its visitors. In Google Adsense Complete Urdu Tutorial, You will Learn how to generate revenue from your website by displaying ads with Google Adsense.